Anyone who has been to Augusta here in Swellendam will know that there are several fragments of old ceramics and dish ware and also old glass on display in the garden, casually placed on large rocks or between plants. These are always discovered by accident as you do some scratching in the dirt. Pieces will adhere to a certain pattern and colourway, indicating that at some point, the lady of the house ditched a set or two. We have started putting a set (or two) of shards away to be framed by our favorite framer in Riebeek Kasteel, who will be tasked with the project to mount the pieces in a wild and exotic fashion. 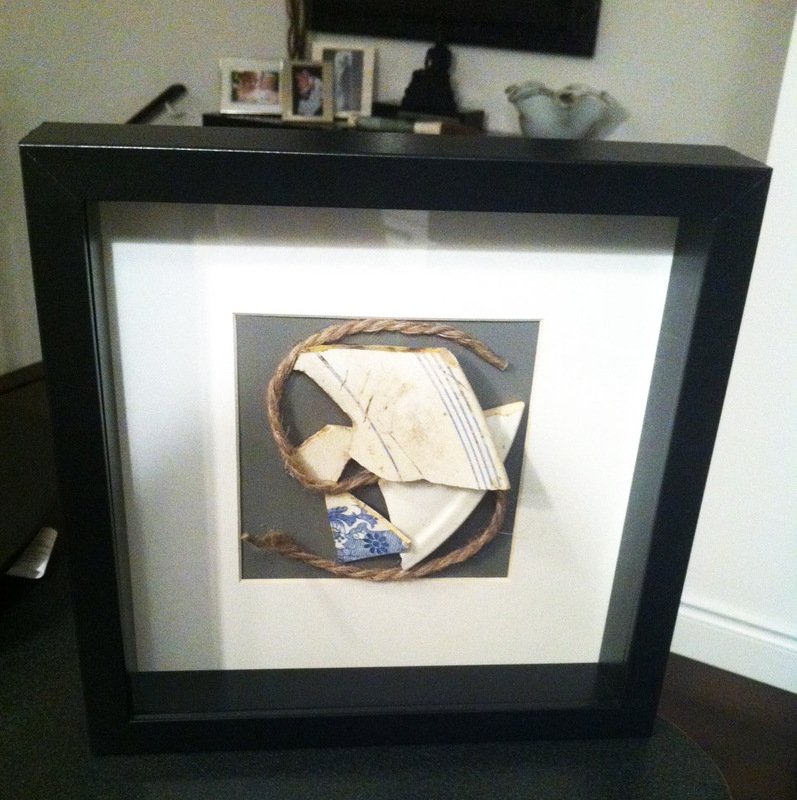 Imagine our surprise when our guests from Canada mailed us with a lovely pic of the shards that they asked to take with as memento, and had framed. It is now a prized piece of decor and a poignant reminder of their time here with us.